Douglas Hirsch is a talented trial and appellate lawyer who heads Sadis & Goldberg’s litigation group. Douglas has over 25 years of experience successfully representing clients in complex securities and business litigation, including class action and derivative cases. 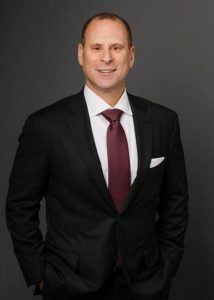 Douglas advises, litigates and arbitrates primarily for clients in the financial services and real estate industries, and therefore, has extensive experience in the areas of SEC enforcement actions, securities fraud, breach of fiduciary duty, corporate governance, activism, partnership disputes, fraudulent transfer/claw back claims, whistleblower claims, restrictive covenants, brokerage claims and lender liability. Douglas is also a trained mediator and can be retained to mediate complex business disputes. Obtained summary judgment dismissing real estate broker’s claim for a $3 Million dollar commission. Georgia Malone & Company, Inc., v. E&M Associates, et al., Index No. 150660/2014 (N.Y. Sup.). Obtained dismissal of a lawsuit for breach of fiduciary duty and breach of contract by a partner in an investment advisory firm against his former partner. Goldberg v. GA Capital Partners LLC, Index No. 652748/2015 (N.Y. Sup.). Represented Ascot Fund Ltd in an $80 million dollar clawback claim by Irving Picard, In re Bernard L. Madoff Investment Securities LLC, Adv. Pro. No. 08-01789, U.S. Bankruptcy Court, S.D.N.Y. Represented merger arbitrage hedge fund as Co-Lead Counsel in fiduciary duty action that recovered 195% above merger price for cashed-out stockholders. Also obtained a rare second recovery of rescissory damages of an additional 29% above merger price for previously successful appraisal petitioners. Obtained a total class settlement fund of $10.725 million. In re Orchard Enterps. Inc. S’Holder Litig., 88 A.3d 1 (Del. Ch. 2014). Represented appraisal arbitrage hedge fund in obtaining post-trial judgement of 128% above merger price. Orchard Enterps. Appraisal Litig., 2012 WL 2923305 (Del. Ch. 2014). Settled a derivative claim for $18,900,000 brought by a limited partner of the Bear Stearns. Domestic High Grade Fund, Navigator Capital Partners, L.P. v. Bear Stearns Asset Management Inc. et al., 07-Civ. 07783, S.D.N.Y. Obtained complete dismissal after arbitration hearing of a $7 million dollar arbitration claim brought by a customer against his registered investor adviser. Obtained $1 million dollar settlement on behalf of managing a member of investment adviser against a fellow member in connection with breach of fiduciary duty claims. Obtained complete dismissal after arbitration hearing of a multi-million dollar claim by investment adviser’s partner who had alleged that he owned half of the investment adviser entity. Resolved SEC’s enforcement claims for $40 million dollars of disgorgement and lifetime bar against investment adviser. SEC v, The NIR Group, et al., 11-CV-4723, E.D.N.Y. Obtained numerous SEC closure letters on behalf of investment advisers. Numerous successful trial verdicts on behalf of clients. Numerous successful appellate decisions on behalf of clients. Doug started his career at Lord Day & Lord, Barrett Smith and then worked at Schulte Roth & Zabel before becoming one of the founding members of Sadis & Goldberg. During the course of his career, Doug has successfully obtained numerous trial verdicts and arbitration awards on behalf of his clients and has successfully argued numerous appeals in both federal and state court. He is a frequent speaker at industry conferences.